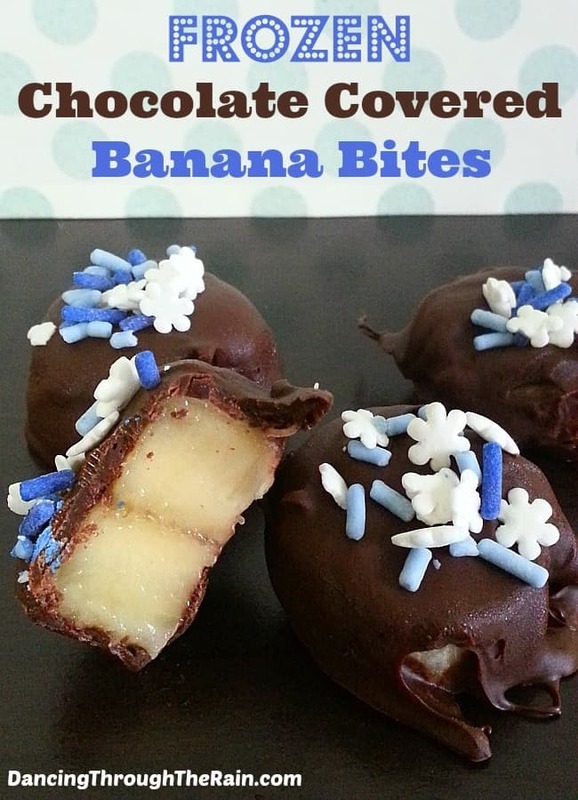 These Frozen Chocolate Covered Banana Bites are the perfect snack to make and eat. 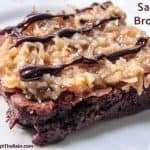 The family will love them because they are delicious and chocolatey, but you will know that the banana center has some surprise nutritional benefits. 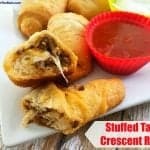 With only three ingredients, your children can help you make these or make some themselves! 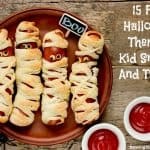 If you are having a Disney Frozen party, be sure to use some winter sprinkles for these and pair them with my Frozen Cupcakes for the dessert table! Not making them during the winter? Change the color of your sprinkles and make them for Valentine’s Day, 4th of July or any other occasion! Prepare a baking sheet with waxed paper and set aside. Place your chocolate chips in the melting pot and melt on high, reducing to warm once it begins to melt. If you don’t have a melting pot (or fondue pot), melt your chocolate in the microwave (30 second intervals, stirring in between each). Remove the peels from your bananas and cut your bananas into 1-inch slices. Once the chocolate is completely melted, dip each banana slice into the chocolate, being sure to cover completely. 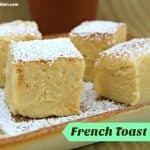 You may want to use a fondue fork or chopstick to keep a good hold on your banana slice. Once covered with chocolate, place each bite on the waxed paper. 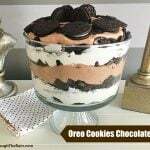 Immediately shake the sprinkles onto your chocolate covered banana bites. When all banana slices have been covered and decorated, place the baking sheet in the freezer for 4-6 hours. 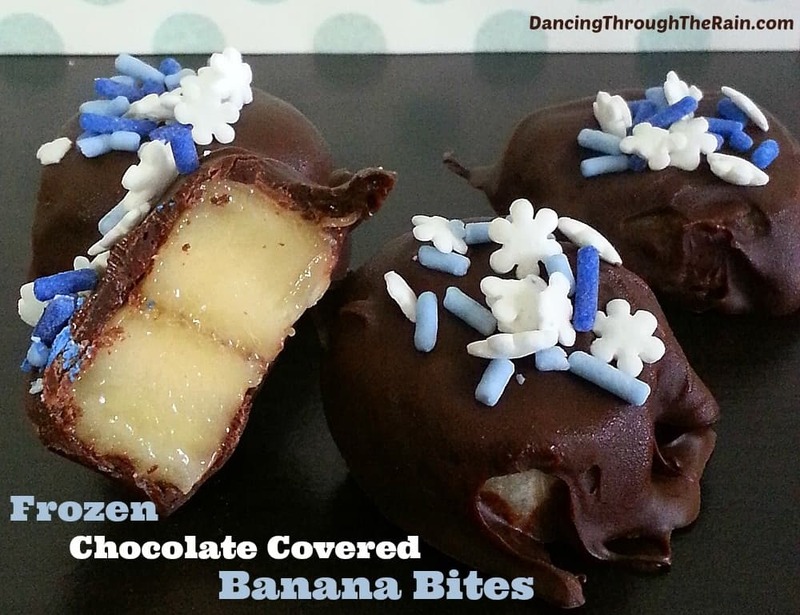 While the chocolate will set quickly, you want to wait until your bananas freeze as well. 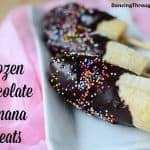 Once removed from the freezer, the banana and chocolate will both begin to thaw, so you will want to eat them right away or keep them in the freezer until later. Enjoy! 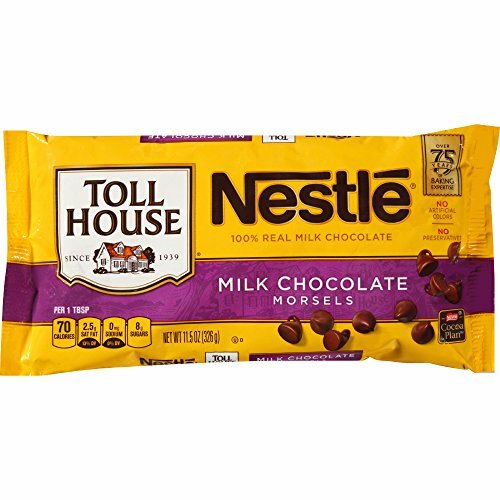 Chocolate Melting Pot- Electric Chocolate Fondue Fountain Pot with over 30 Free Accessories and 12 Recipes NESTLE TOLL HOUSE Milk Chocolate Morsels 11.5 oz. 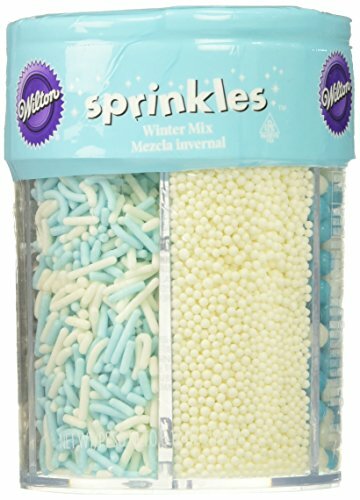 Bag Wilton Winter Medley Sprinkles, 6.12 oz. Prepare a baking sheet with waxed paper and set aside. Place your chocolate chips in the melting pot and melt on high, reducing to warm once it begins to melt. 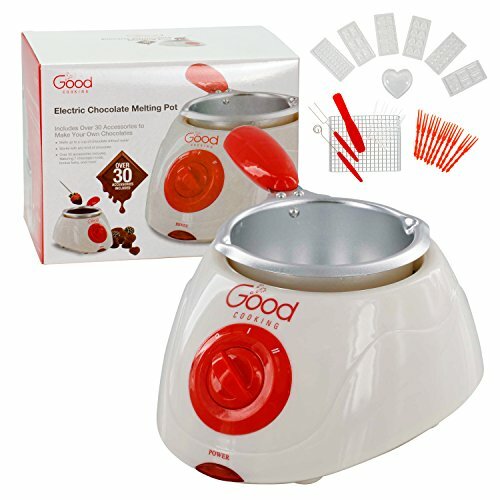 If you don't have a melting pot (or fondue pot), melt your chocolate in the microwave (30 second intervals, stirring in between each). Remove the peels from your bananas and cut your bananas into 1-inch slices. 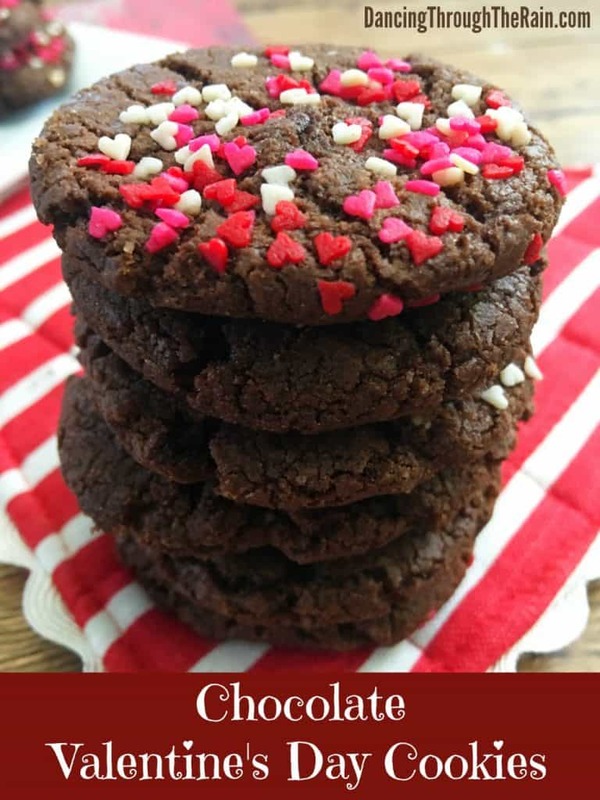 Once covered with chocolate, place each bite on the waxed paper. 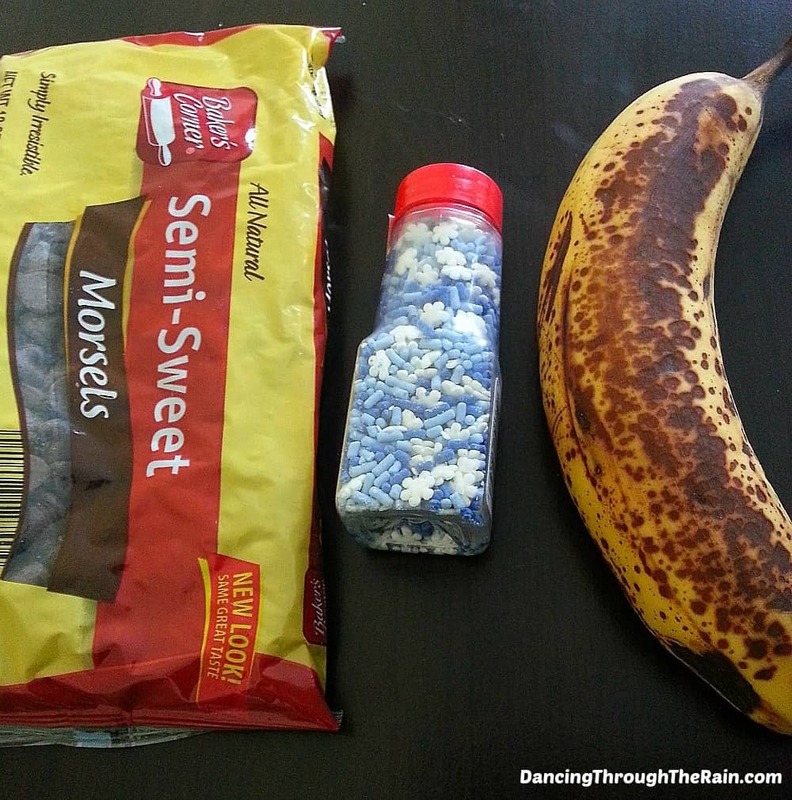 Immediately shake your sprinkles onto the covered banana. 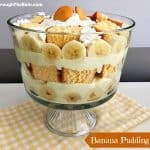 When all banana slices have been covered and decorated, place the baking sheet in the freezer for 4-6 hours.